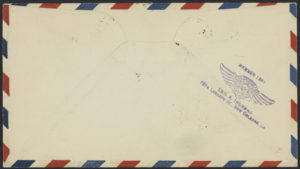 Title: First Air Mail Flight by Robertson Airplane Service Co.
“First Air Mail Flight by Robertson Airplane Service Co. New Orleans La. 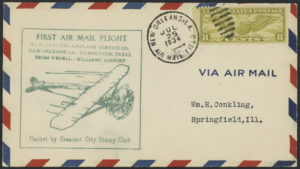 To Houston, Texas, From Wedell-Williams Airport. 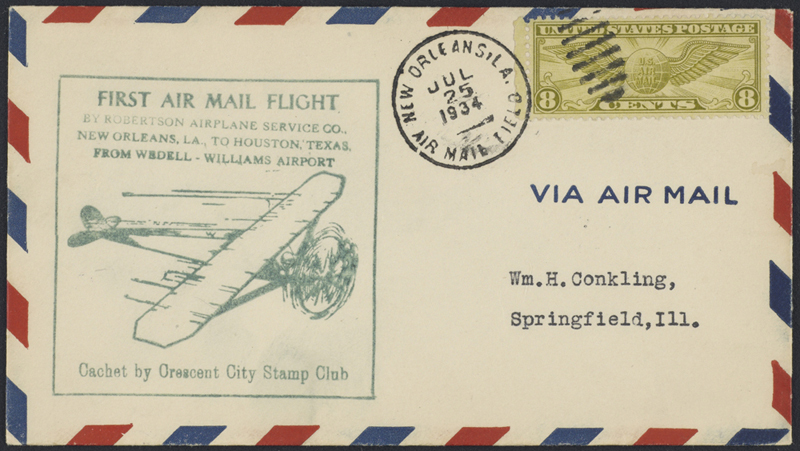 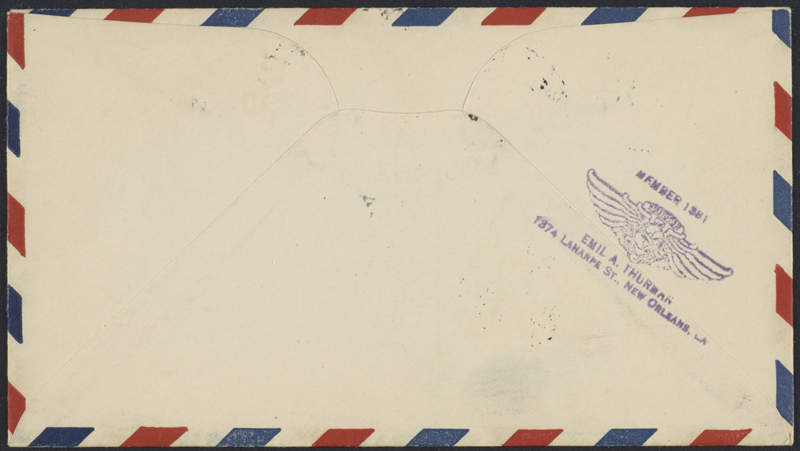 Cachet by Crescent City Stamp Club” Postmarked July 25, 1934.